SafeGuard Armor, manufacturer of body armor with clients across the law enforcement, military, and domestic sectors, has created a new ballistic carrier to help police and federal officers stay safe in the line of duty, incorporating the latest technologies. Whether patrolling high-crime neighborhoods, working undercover in hostile environments, or responding to a report of domestic violence, law enforcement officers may face various dangers, from gunfire and blades to needles and physical assault. To stay as safe as possible in all situations, officers need body armor suitable for wear over and underneath their clothing, allowing them to alternate its position dependent on the level of discretion needed. SafeGuard Armor's new StealthPro vest offers ballistic, stab, and spike protection, with 100% DuPont Kevlar armor panels, and a choice of NIJ level 2 or 3A protection as standard. With SAPI plate pockets on the front and rear, officers can add hard ballistic plates, for enhanced defense up to levels III and IV (with enough stopping power to protect against armor-piercing rifle rounds, according to the company). The vest also features CoolMax technology, wicking moisture from the body to help keep the wearer comfortable during prolonged wear, in variable climates and high-pressure situations. This also offers NIJ level 2 stab and spike protection, to stop knives or items with pointed tips (needles, sharpened objects), while the adjustable ultra-durable Velcro straps allow the wearer to make it fit as they need to – this is essential for accommodating wear both under and over other layers. "The StealthPro is an innovative concealable armor, offering the protection law enforcement officers need in dangerous situations," said a spokesperson for SafeGuard Armor. "In the past, undercover operatives have been unable to wear ballistic plates under their civilian clothing, leaving them exposed to harm from high-velocity gunfire. With the StealthPro, this is no longer an issue: this vest is lightweight enough for covert wear, even when carrying ballistic plates." For more information on the StealthPro Vest, visit http://www.safeguardarmor.com. SafeGuard Armor is a designer and manufacturer of body armor, with more than seven years' experience supplying to domestic and business customers across the globe. Today, SafeGuard Armor manufactures body armor in the United States and Europe, shipping to over 100 countries. 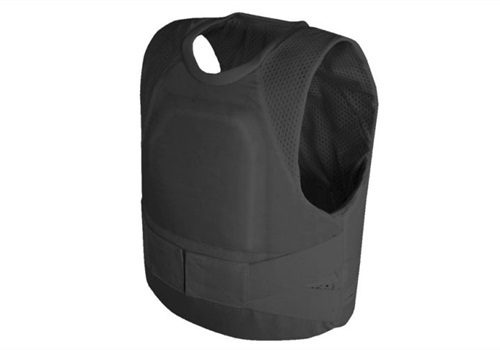 The company offers protective vests at all NIJ-levels designed to provide complete safety solutions against ballistic, edged blade, and spiked-weapon threats.